NAIROBI/HARGEISA, 31 March 2009 (IRIN) - A severe drought that has gripped most of Somalia is worsening, with the affected populations needing urgent help after losing their livelihoods, Mahamud Abdi Ibrahim, the Minister for Humanitarian Affairs, told IRIN on 31 March. "The reports we are getting are that people and livestock in drought-affected areas are dying of shortages of water, inadequate food, and lack pasture for livestock," he said. "It is really a very grim situation." Ibrahim said the worst-affected regions were in Hiiraan, Galgadud, Mudug and parts of Bay and Bakol and Gedo, Middle and Lower Shabelle, and Lower and Middle Juba, in central and southern Somalia. He urged humanitarian agencies "to come to the aid of those affected", saying the government had informed the agencies of the situation and was seeking "immediate and sustained assistance to save lives". Haji Ahmadey Gurey, an elder in Torotorow in Lower Shabelle, said almost all the villages around the town were affected. "Both farmers and nomads are suffering," he said. "We had no rains in the Deyr season [October-December]; now many nomads are coming into the town with nothing." Gurey said lack of water and food was the main problem: "People are drinking untreated water, which is causing a lot of sickness and death." Ibrahim said the government would help in facilitating access to affected areas, adding that where the security situation did not allow for access by foreign agencies, local partners should be used to deliver the aid. "The government will help them identify local aid groups that can be trusted to deliver the aid," he said. "As government we don't care who delivers the assistance and where, so long as it reaches those in need. Now is the time to help if you are going to help." 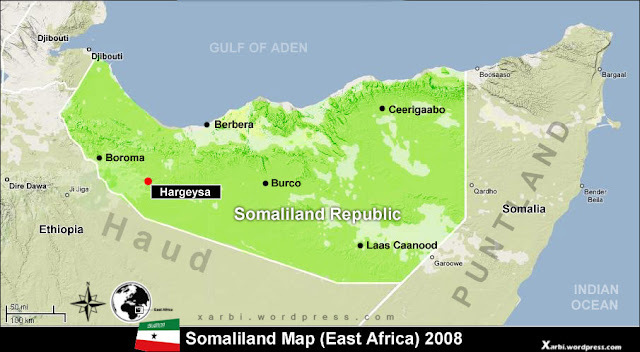 Meanwhile, in the self-declared republic of Somaliland, rains have started in parts of the region but the east remains drought-stricken. "Some little rain was reported in the mountain areas of Erigavo [near the region's capital] and other areas, but it's not enough for the drought-affected region as a whole," Hashim Go'd, a journalist based in Borame, Awdal region, told IRIN. He said the rains started on 28 March in Borame, Bon, Qulujeed and surrounding areas as well as in the capital, Hargeisa, and Gabiley and Sanag regions. However, he said, there was still a lack of water in areas such as Jiidali, 35km southeast of Erigavo, Yufle, Goofa and Booca, with the local government sending four to five water trucks daily to these areas. Mohamoud Awed Du'alle, the deputy mayor of Erigavo, said: "The situation is getting worse in these areas; animals such as cattle and sheep have already started dying in the region. Some families are taking their cattle to the urban areas to sell because of a lack of water." 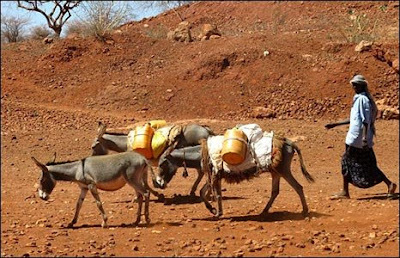 Du'alle said the price of the water had increased dramatically in remote areas, as many donkeys used to ferry water have died.